I have stayed at the Alanda many many times in the last 5 years low and high season. The staff are excellent the apartments are well maintained, well positioned for beach, it's quiet off season busy in high season, eating out facilities great and all in all Accommodation excellent value for money. I have also stayed on my own on a few occasions and I felt safe with staff always available at reception 24 hours a day to ensure any issues are addressed immediately. I am planning another visit to Alanda Club Marbella this year. Apartments consisted of two separrate rooms, one of them with a kitchen and a huge well equipped bathroom. 24-hour reception that was very important becuase we arrived late. Free parking inside with lots of spaces. Aparthotel is easy to find and it is not far from the airport (45km). Breakfast was nice (cava available). The beds were very comfortable and I enjoyed that the facilities came with all the necessities for an apartment such as toiletries, kitchen goods, and cleaning supplies. The staff was very helpful and attentive. 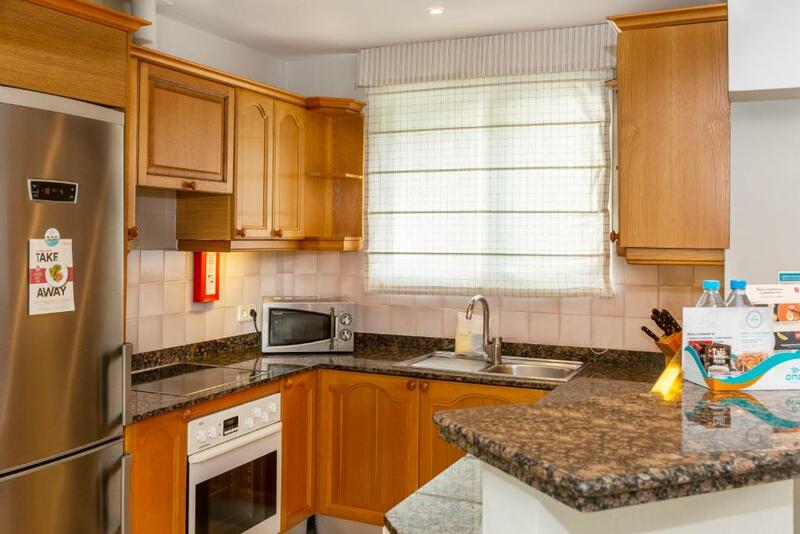 The property was a short walk from the supermarket, beach and restaurants. Since the apartment had everything you needed for cooking, it was very easy to put anything together that we wanted to eat. the size of the apartment, and the location near the beach. The room was very comfortable. Staff very nice. Very good entraiment. Apartment was a good location, well cleaned comfy living room furniture and well equipped kitchen. 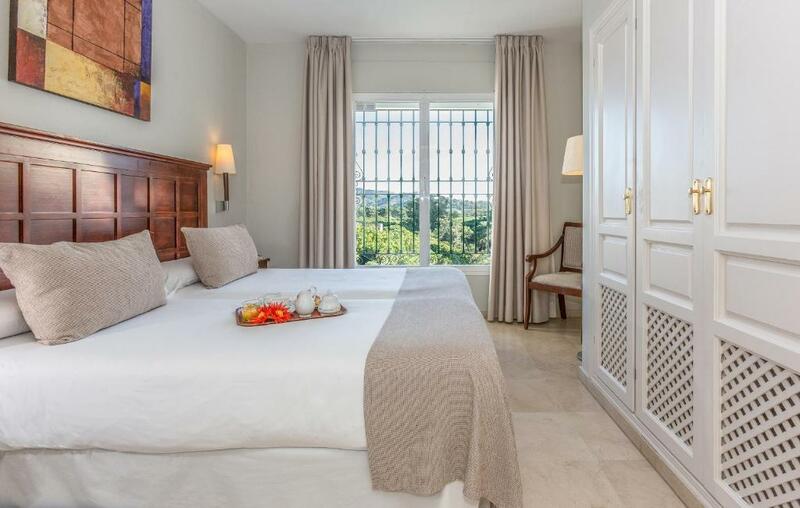 Lock in a great price for Ona Alanda Club Marbella – rated 8.7 by recent guests! 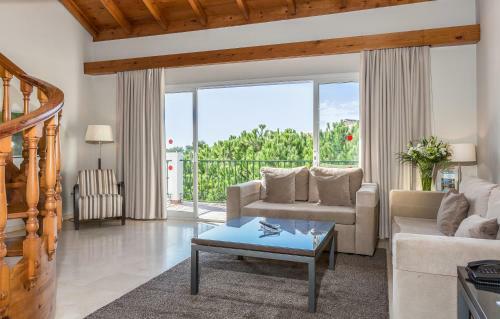 Ona Alanda Club Marbella This rating is a reflection of how the property compares to the industry standard when it comes to price, facilities and services available. It's based on a self-evaluation by the property. Use this rating to help choose your stay! 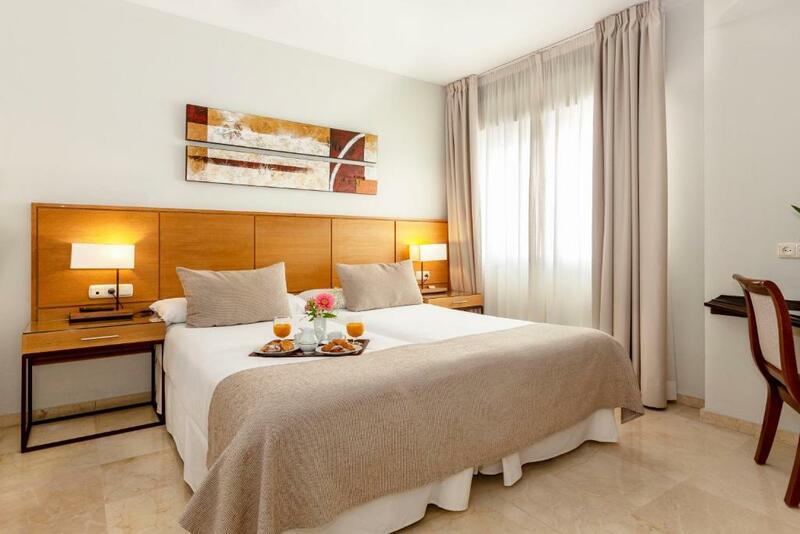 This exclusive aparthotel is located around 800 feet from the beaches of the Costa del Sol. Located in Marbella, Alanda Club Marbella offers free WiFi, a gym, hot tub and 3 outdoor pools. A 24-hour reception is available. 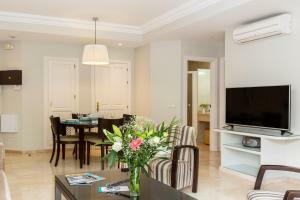 The air-conditioned apartments are spacious and bright, with a private balcony. They all feature a well-equipped kitchenette and a lounge with satellite TV. The Alanda Club apartments are just a short walk from the shops and bars of the Elvira district. Marbella Golf Club is just 0.6 mi away, while Marbella is approximately 7.5 mi away. Free parking is available on site. Guests can enjoy a buffet breakfast in the hotel’s restaurant, which serves Spanish specialties and a range of Mediterranean and international dishes. There is live music on the terrace during summer. 뀐 Located in the top-rated area in Marbella, this property has an excellent location score of 8.5! 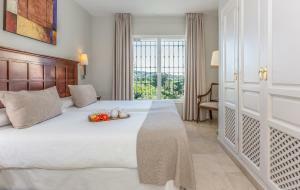 When would you like to stay at Ona Alanda Club Marbella? This air-conditioned apartment is spacious and bright, with a private balcony. It features a well-equipped kitchenette and a lounge with satellite TV. There is a twin bedroom and a sofa bed. This air-conditioned apartment is spacious and bright, with a private balcony. It features a well-equipped kitchenette and a lounge with satellite TV. There are 2 twin bedrooms and a sofa bed. This air-conditioned apartment is spacious and bright, with a private balcony. It features a well-equipped kitchenette and a lounge with satellite TV. There is a twin bedroom. This air-conditioned apartment is spacious and bright, with a private balcony. It features a well-equipped kitchenette and a lounge with satellite TV and a sofa bed. There is a twin bedroom. This air-conditioned apartment is spacious and bright, with a private balcony. It features a well-equipped kitchenette and a lounge with satellite TV and a sofa bed. There are 3 twin bedrooms and a sofa bed. These apartments are located within 3 different sections. This apartment features a patio, kitchenette and DVD player. Located at the heart of the Costa del Sol in the town of Marbella, a benchmark in high-level tourism, our Resort offers 150 exclusive apartments decorated in two different styles with all the comforts and luxuries you might want: Indoor swimming pool, Jacuzzi, sauna, gymnasium... and just a few metres from the beach and the Elviria shopping and leisure area; these are just some of the advantages you can enjoy at Alanda Club Marbella. 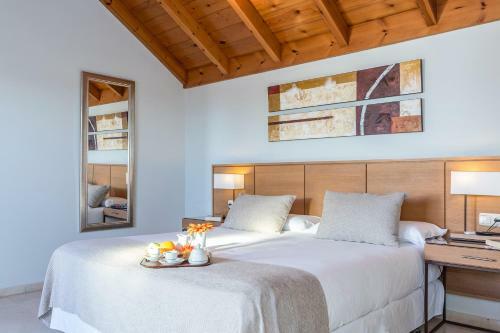 Spacious apartments conceived for families and groups of friends, where the size of the lounges, rooms and terraces provide you with maximum comfort during your stay. Weekly Cleaning. The area is great, surrounded by wonderful beaches and very good atmosphere. There are several supermarkets nearby and Niki Beach is a few steps from the complex. House Rules Ona Alanda Club Marbella takes special requests – add in the next step! Ona Alanda Club Marbella accepts these cards and reserves the right to temporarily hold an amount prior to arrival. Please note free WiFi does not support downloads, and that there is a EUR 12 surcharge after the 1st device. The property offers premium WiFi for a surcharge. Please note Kids Club is open from 1 June until 31 August. Kids Club is available for children 5 to 11 years old. Please note that when booking 7 apartments or more, different policies and additional supplements may apply. Please note that a cleaning service is provided once per week. The sauna wax not working at all and also the jacuzzi whilst we were there One of the breakfast waiters who was opening the Buffett on our last day was very rude. He was also on duty in the bar on another occasion and he was very grumpy. The food and service at the pool bar was extremely poor overall. We organised airport transfers for our arrival and departure, the cars were lovely and the drivers were amazing, however we were charged much more for our return car even though we were in the same car with the same driver. We had a wonderful time at Ona Alanda Club. The apartment was lovely, had everything we needed and was very clean. The travel cots and high chairs we were provided were great for our little ones. The gardens were well manicured and the indoor pool was perfect for the cooler days. A fantastic hotel complex in tranquil tropical gardens, very near to shops and restaurants, by a bus route to Marbella or Fuengirola and with free parking in outside or underground secure hotel car parks. 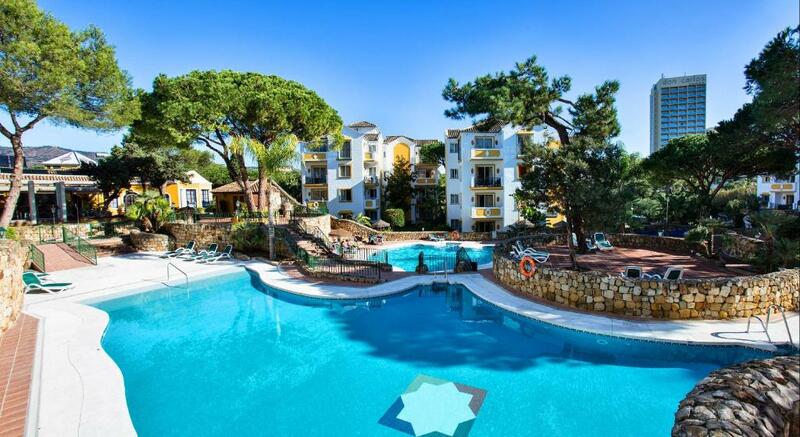 The various apartments are well appointed, beautiful and spacious, with balconies and lovely views of the sea, the pool gardens or the mountains. The staff are wonderful and do everything they can to make your stay perfect. In particular, Jesus and Ara at Reception made my stay special in their personal attention given to me. Much appreciated! The restaurant and cafe bar has a good food and drinks menu, with very attentive waiters and also great entertainment evenings. I have stayed at the Alanada Club over several years because it offers such good quality value. I can 100% recommend the Ona Alanada Club for families or solo travellers. The facilities are very old. The food choice is limited. Gym facilities are old and some does not work. The hot water runs out quick, you can not have shower at the same time in different bathroom for more than 2 people. Everywhere need card to access. One of the room card does not work properly and button of gate was broken. Indoor pool is smelly not that clean. Parking space super narrow. Lift is way too small and old. Not very comfort to stay for this price! Pools were not clean. Hotel Bar closed at 11pm. Needed a shop on site. Staff were pleasant. Very clean room. Food was good. Need to request to be in the main building area. We were by the beach so no ideal with teens. Held up a couple of hours, 1st time in 9 stays though!! We were able to check in early, and although the restaurant was full for the flamenco show, they made space for us. Everything super! Thanks very much! We will definitely recommend you to our family and friends! There was not enough hot water for the 4 people sharing the 2 bedroom apartment. One person would have a hot shower and the rest of us would have cold. Very disappointed with the maid service. I have stayed at this apartment many times and the maids visit to clean and provide fresh towels every 2 days. This has now changed so that they visit after 5 days. This meant we had no maids service during the entire length of our stay. Disappointed that they have chosen to down grade their service. Had the breakfast on our last trip and would not recommend. Great location. We are frequent visitors to Elviria as we love the bars and restaurants and the location is great for easy access to Marbella etc. Can't comment on all facilities as we were just out of season so the outdoor pools were closed and it wasn't warm enough to use them. Nice location, not too busy, easy to get to central Marbella Nice big apartment for our family with everything we needed in it.